A day after the Sony Xperia XZ1 press renders appeared, Roland Quandt unleashed another batch of leaked images. 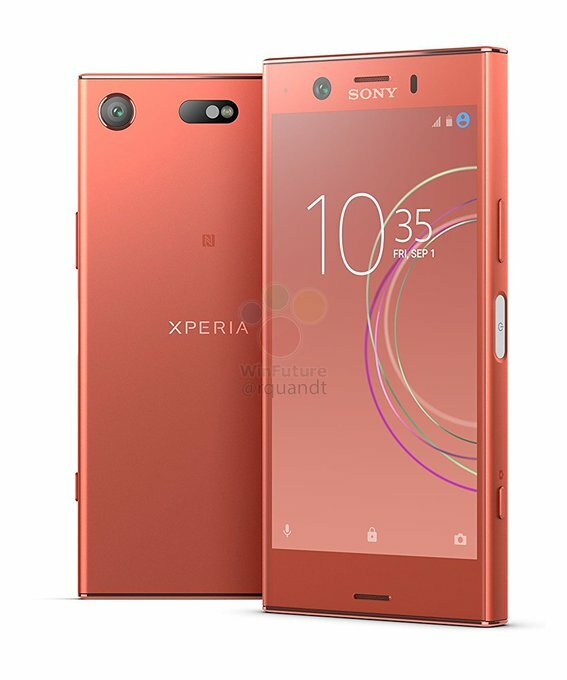 This time the star is the Sony Xperia XZ1 Compact and it comes in Pink that looks more like Orange version. Leaving nothing to the imagination, the XZ1 Compact will come with one camera on the back and another one at the front. Sony kept the classic Xperia design once more, leaving huge bezels on top and bottom of the front panel. The volume rocker is above the power button and there is a dedicated camera button too. The SIM tray will sit on the left side of the phone, while on top of it we can see a 3.5 mm audio jack and a noise-canceling microphone. According to Quandt, the phone will be available also in Black, Silver and Blue. Let’s hope they will make the XZ1 Compact look less like a kid’s toy and more like a lite version of a powerful flagship.